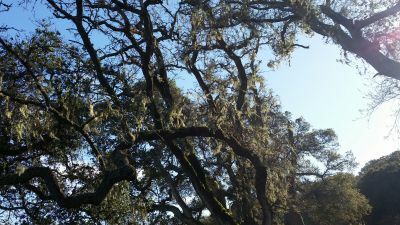 On New Year’s Day, lace lichen, a stringy green organism often called “Spanish moss” that hangs from oak trees around California, joined the grizzly bear, California poppy, California quail and gold as an official California State symbol. The new law, signed last July by Gov. Jerry Brown, made California the first state to claim an official lichen. Lace lichen can be found in almost every part of the state, from the north to south and up to 130 miles inland from the shoreline. 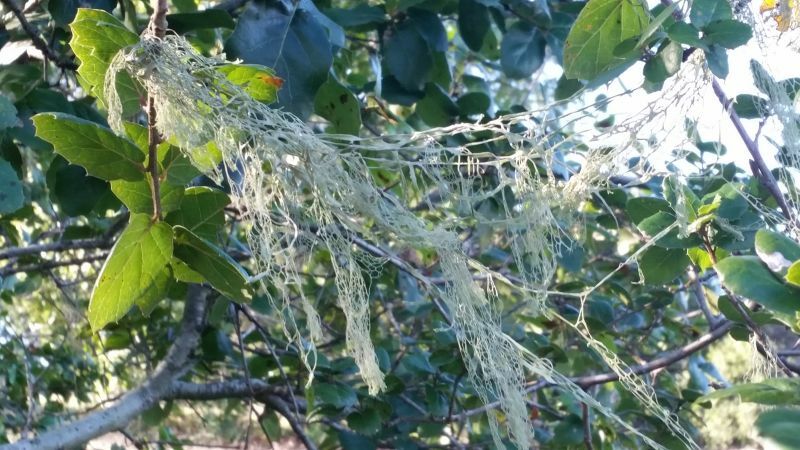 Draping from tree branches, which it uses for support, not sustenance, there are about 1,900 kinds of lichen, along with the lace variety, native to California. The California Lichen Society proposed adding a state lichen and state Assemblyman Marc Levine, D-San Rafael, wrote AB 1528, which sailed through the Legislature without much disagreement. Levine said he carried the bill because it fits his interests. Levine said one of his next bills will identify wildlife corridors to help protect migrating animals. Lichen, which is actually a complex life form that is a partnership of fungus and algae, has long been misunderstood and overlooked, scientists say. In the mid-19th century, it was misclassified in the moss and liverwort family. Beatrix Potter, of Peter Rabbit fame, was an unlikely lichen champion. She contributed to lichen and fungus research before she found literary fame. In the late 1800s she did botanical studies and research in her kitchen, wrote a scientific paper about fungus and spore reproduction, and supported the view, unpopular with scientists of the time, that lichen belonged in its own family. She produced many wonderful, detailed drawings of fungus and lichen species. Since she was a woman, though, a male scientist had to present her scientific paper and research to the Linnean Society of London. The lowly lichen is both hardy and sensitive. It has survived the extremities of experimental exposure in outer space. And it can be shut in a drawer in a museum for decades, and yet live again when given sunlight and water. It is found on nearly every surface of the Earth — from the North to the South poles and desert floors to rocky mountain tops. Yet some species are very sensitive to air pollution - especially sulphur dioxide, radiation and other toxic pollutants - making them a useful, inexpensive environmental monitor. The US Forest Service is undertaking a study of lichen communities that may even help determine how fast the climate is changing. Citizen science projects to monitor lichen are underway that are easy enough for elementary school students to contribute to. The biggest advocates for the otherwise quirky bill say they had a good reason: to raise public awareness about these unique species. “Calling attention to lichens by recognizing one of them as the California state lichen creates an opportunity for us to learn about and celebrate the things that make California special,” the California Lichen Society said in a statement after its bill became law.